We would like to thank Jack Feldman, William Powell, Karl Haldorson, Jeff Slavik and Matthew Vanderbilt. Also thanks to Art Isaacs for his continued work in answering members’ technical questions and answers. Be sure to send in photos and stories so we can include them in future issues of the Octagon. I am sure you have noticed the improvement in the look and feel of the Octagon. The pages are brighter, the paper is better and there are more color pages with color pictures in better quality. We have made another change in printers to make a better looking magazine. This should also mean that the Octagon should be received with less damage. Let me know what you think of the changes. You need an ID and password to access the “members only” section of our website at www.mgclub.org . You will find the ID and password on page 3 of the OCTAGON. These change with each issue so be sure to use only the ones listed in the latest issue. Also now you can to create your own id and password for the members only section. Submit the form on the members only page to do this. Start planning for the upcoming driving and show season! We would like to thank Florence Cyr, fellow AMGBA officers Margie Springer and Bruce Magers and all of the other contributors to this issue of the Octagon. Also thanks to Art Isaacs for his continued work in answering members’ technical questions and answers. Be sure to send in photos and stories so we can include them in future issues of the Octagon. I am sure you have noticed the improvement in the look and feel of the Octagon. The pages are brighter, the paper is better and there are more color pages with color pictures in better quality. We have made another change in printers to make a better looking magazine. The delivery of your magazine may have also changed and hopefully the Octagon should be received with less damage. Let me know what you think of the changes. The 34th Annual American MGB Association Meet 2011 was held in Dayton, Ohio and this issue contains a report and many photos. We would like to thank Robert Hepple, Rhett McGowan, Dennis Mosseler and all of the other contributors to this issue of the Octagon. Also thanks to Art Isaacs for his continued work in answering members’ technical questions and answers. Be sure to send in photos and stories so we can include them in future issues of the Octagon. The 34th Annual American MGB Association Meet 2011 will be held in Dayton, Ohio in conjunction on August 6, 2011. 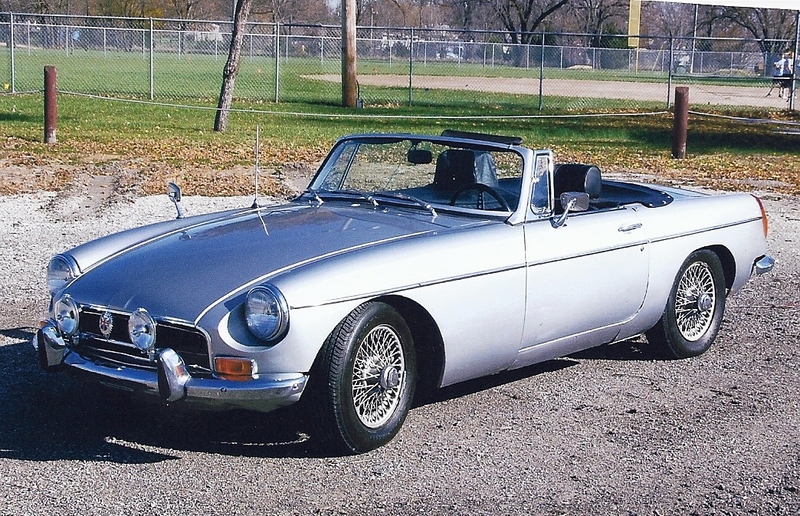 This will be in conjunction with the MG Car Club’s SW Ohio Centre’s 27th Annual Exhibition of British Automobiles. More details elsewhere in this issue. Start planning now for all of the shows this season including Meet 2011 in Dayton, Ohio! We would like to thank Joanna Garvey (for Meet 2010 photos), Roy Milner, Joe Rogucki all of the other contributors to this issue of the Octagon. Also thanks to Art Isaacs for his continued work in answering members’ technical questions and answers. Be sure to send in photos and stories so we can include them in future issues of the Octagon. American MGB Association Meet 2009 was held in Sussex, Wisconsin. A full report with photos is contained in the past shows/photos section of the website. many members we now have a 3 year eMembership for $65 which also includes a free t-shirt or tech volume III CD. Save money and get a t-shirt or tech CD! See you at the many car shows this fall and summer! We would like to thank Gene Lillie, Mark Summers, Marc Meccia and all of the other contributors to this issue of the Octagon. Also thanks to Art Isaacs for his continued work in answering members’ technical questions and answers. Be sure to send in photos and stories so we can include them in future issues of the Octagon. American MGB Association Meet 2010 will be held in Sussex, Wisconsin in June. This is just outside of Milwaukee and more details are in this issue with up to date information always on our website at www.mgclub.org. We now have member grille badges and key fobs. This is in response to many member requests. We now offer a 3 year membership or renewal rate which includes a free t-shirt or tech volume III CD. The rate is $95 or $125 for members outside the USA. And in response to many members we now have a 3 year eMembership for $65 which also includes a free t-shirt or tech volume III CD. Save moneyand get a t-shirt or tech CD! 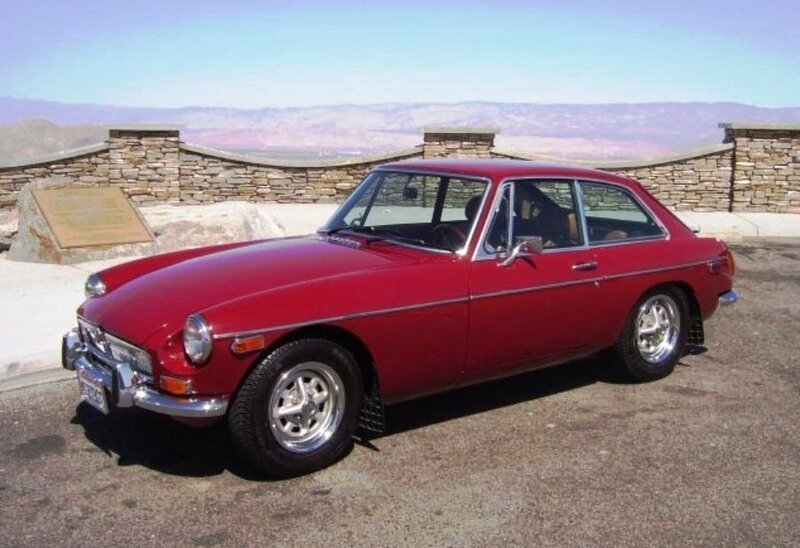 The new American MGB Association Photo Gallery is located at http://photos.amgba.com. The same login is used for the Gallery as the Message Board. Members can place their car photos directly at this location. Make plans for Meet 2010 in Wisconsin and all of the other car shows. See you there!